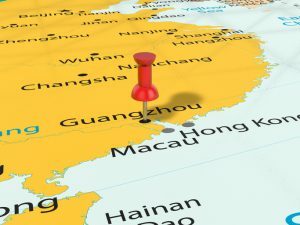 Changing policies in China bring opportunities for foreign CDMOs says Lonza, which is opening a biologics facility in Guangzhou, supported by GE Healthcare. Swiss contract development and manufacturing organization(CDMO) Lonza has announced it is constructing its first biomanufacturing facility in China. The 17,000 m² plant will be based on GE Healthcare’s off-the-shelf modular biologics factory, KUBio platform, and will supply antibody drugs to the local market. “We do have an established presence in China and in theGuangzhou district but this is our first biomanufacturing facility [in the country],” Karen Fallen, head of Clinical Development and Manufacturing at Lonza Pharma & Biotech, told BioProcess Insider. While Lonza has had a presence in China since 1995, the ability to set up a standalone biomanufactring site has been limited, until recently. Regulations meant that a company had to own and market themolecule to produce it, but in 2015, the Chinese government authorized its State Council to carry out its marketing authorization holder (MAH) program. These reforms, coupled with the large population, make biologics a booming market in China and so, Fallen said, there is a growing need for the development and manufacturing of innovative drugs. According to Fallen, Lonza looked at several options from green field builds to acquisition but using GE’s modular platform was “the best scenario” for the firm. The site will offer small-scale GMP manufacturing and will be equipped with GE Healthcare’s single-use technology offerings. Included in the facility will be 6,500 m2 of lab space offering services including cell-line construction, process development, cell banking and pilot labs. Financial details for the site have not been divulged. However, Fallen said Lonza expects to hire over 160 by the time the site is fully operational.